$1.19 each wyb 4 after coupons and ECBs! Persil Laundry Detergent (40 oz) or Persil Power Caps (16 ct), $4.99 ea. As low as $1.99 each after coupon! 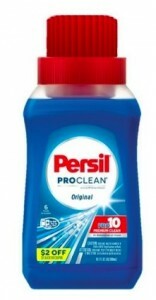 Persil ProClean Laundry Detergent (10 oz), $1.99 ea. Persil Laundry Detergent, (40 oz. ), $4.99 ea. $0.24 each wyb 4 after coupons and ECBs! 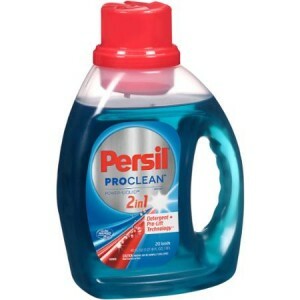 Persil ProClean Detergent (100 oz./64 loads), $11.99 ea. $10.98 wyb 2 ($5.49 each) after coupons, gift card and rebates!